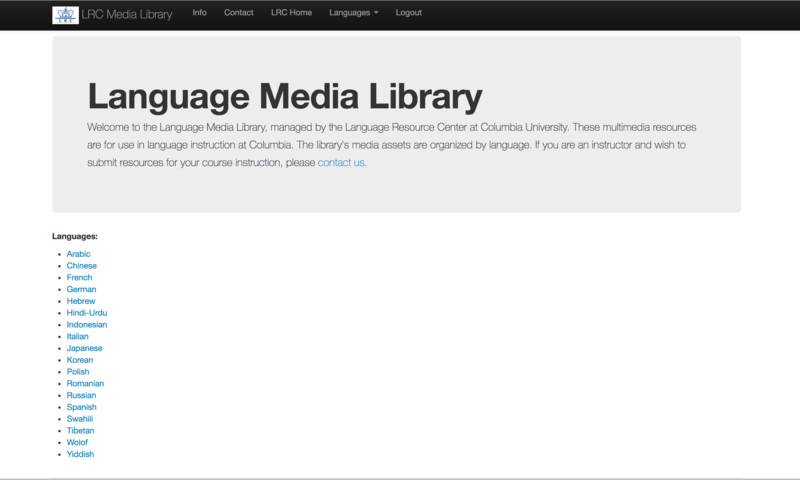 While working at Columbia University Language Resouce Center we had an issue with managing over 5,000 audio and video files for language learning. As we migrated from the old internal lab system we needed a new system to give online access to the materials. I created Media Manager to easily stream audio and video materials for student language courses. After looking at different products, I realized that the system could be done internally. I looked for a good streaming server and found Wowza Streaming Server. Then I looked at the best way to build it. 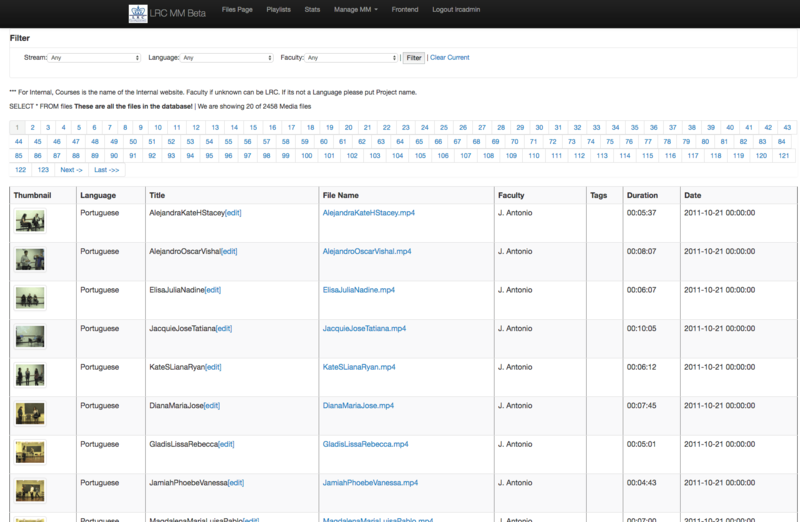 At the time, I created a custom CMS that would list all the media and show the embed code for the media. Looking over YouTube, I saw how they did the custom embed code and created a custom code that would mimic this function. I used FFMPEG to get the needed information from the uploaded media files. The system was built with PHP and MYSQL along with media players. Originally one for flash and another one for mobile. Five HTML templates were created for the front end along with a media embed template. The embed template allowed the media player to be embedded with iFrame onto any website. So while I created a private front-end site of the manager, we also had the ability to embed content to other websites. While the system was simple, it has been streaming for 6 years over 100,000 streams a year. The media is mostly Audio and no other streaming and embedding system for audio has been able to compare. I was amazed how long the system has been working and how well it served the University. The project was created using PHP/MYSQL coding. I also used FFMPEG on the servers. As well as different video and audio players. Since the embed code was on the server, updates for the players would automatically happen across the board.